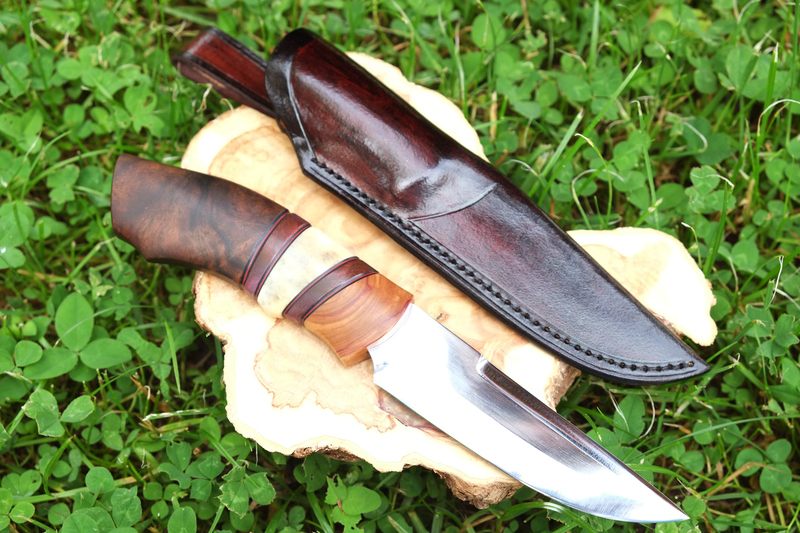 This is a knife made 100% by me , including the blade. 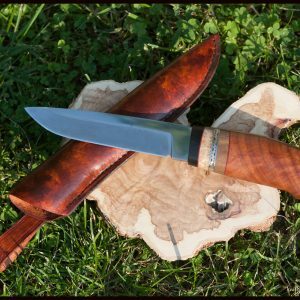 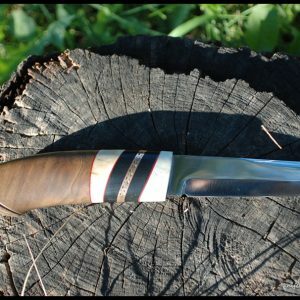 Most of the times I use other bladesmith’s blades, but this time I made this one specifically for this knife. 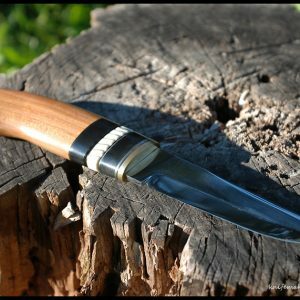 The blade is made of stainless steel so you can safely use it everywhere you want, even in the forest and kitchen. 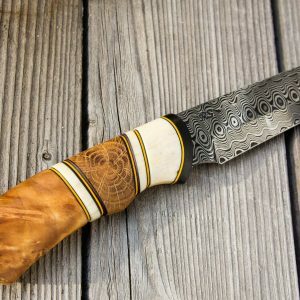 The handle is made of lilac tree, which recently is very hard to find, but is incredibly beautiful, stabilized purple wood, reindeer antler, vulcanized fiber. The sheath is hand painted vegetable tanned leather like usual. 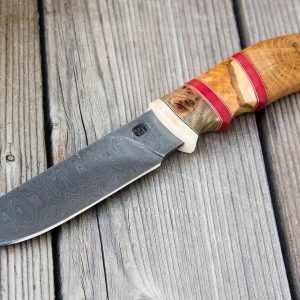 The blade of the knife is 105mm long. 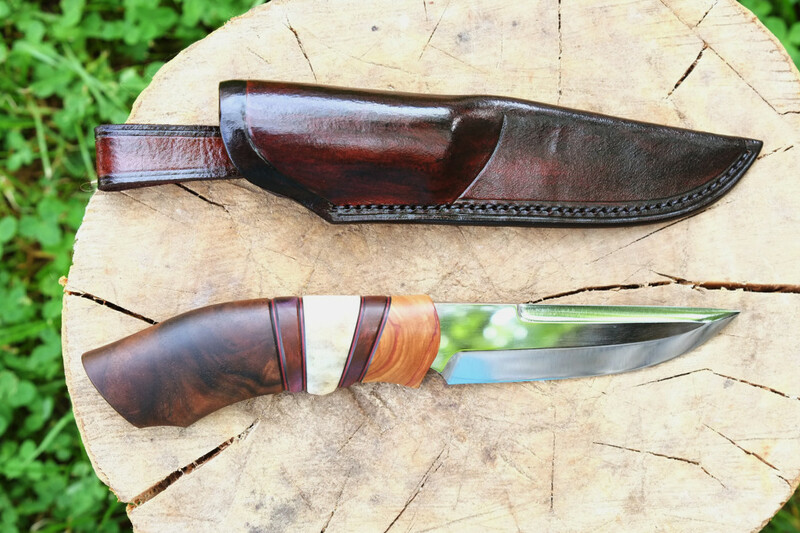 The whole knife is 220mm.